Amazing stay! 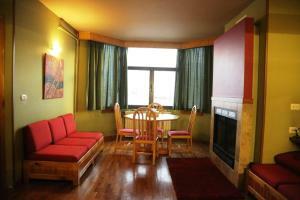 The location is the best in the area; 2 minutes walk to the slopes! Location can’t get any better!! Couple of minutes walk to get to the beautiful ski slopes!!! Amazing place. Very friendly staff, always there to serve our needs and make our stay pleasurable Clean and comfortable rooms. The perfect stay for our ski trip!! 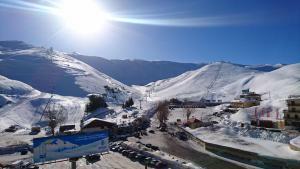 Amazing view of the Mzaar slopes, As central as a short walk away from everything! Great view of the mountain. Location was just across the street from the ski entrance. Room was very cozy. Nice and warm from the moment we walked in. Working fireplace was a plus! The owner was very welcoming and the room was comfortable plus the location was extremely convenient. What is there not to like! From the moment I booked till the moment I left the property, we were treated like royalty at Mzaarviews! Location is magnificent: a minute walk from the beautiful Mzaar ski slopes. Service is excellent: Very friendly staff, professional and genuine team. Maher in specific was going above and beyond in order for us to have a perfect stay. Food is succulent! words can't describe the freshness and the beautiful taste of the sandwiches and croissants! 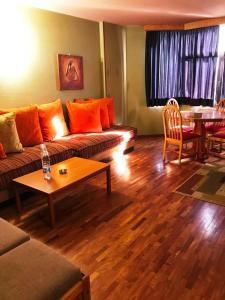 Finally, the chalet was very clean, bed comfortable, room appliances are updated and satisfies all your requirements. Briefly, a must visit property on your next trip to the beautiful Lebanese mountains. 2 Thumbs up! 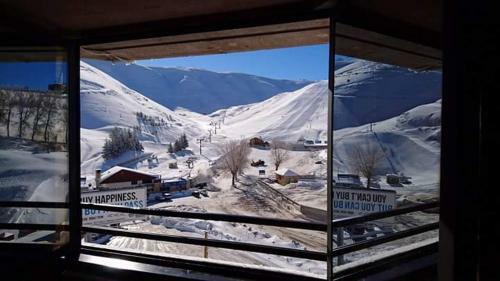 Located in Kfardebian, MzaarViews Chalets is right off Mzaar Ski Resort Jonction Slopes. The Chalets are self-catered. Mzaar Intercontinental Spa is 2,650 feet away. Restaurants, bars, and nightclubs are within a walking distance. Free private parking is available on site. Guests can enjoy free WiFi throughout the property. All units include a seating area. 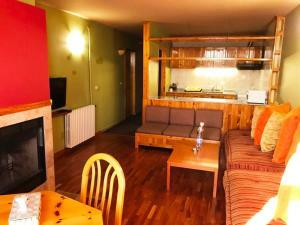 The property has ski-to-door access and a ski school and ski equipment hire is available. There is also a kitchenette in some of the units, fitted with an oven and microwave. Bed linen is available. MzaarViews Chalets also includes a terrace. You can play table tennis at the property, and the area is popular for skiing and cycling. Beirut - Rafic Hariri International Airport is 23 mi away. Faqra Roman Ruins is 1.9 mi from the property, and 2.4 mi from Faqra Natural Bridge. When would you like to stay at MzaarViews Chalets? This suite features a flat-screen TV, seating area and soundproofing. This suite has a soundproofing, satellite TV and seating area. This apartment features a sofa, cable TV and seating area. MzaarViews Chalets offer warm, cozy and traditional alpine accommodation in the stunning Mzaar resort, as friendly to families, winter and summer, as it is to skiers and snowboarders. You will love the view! 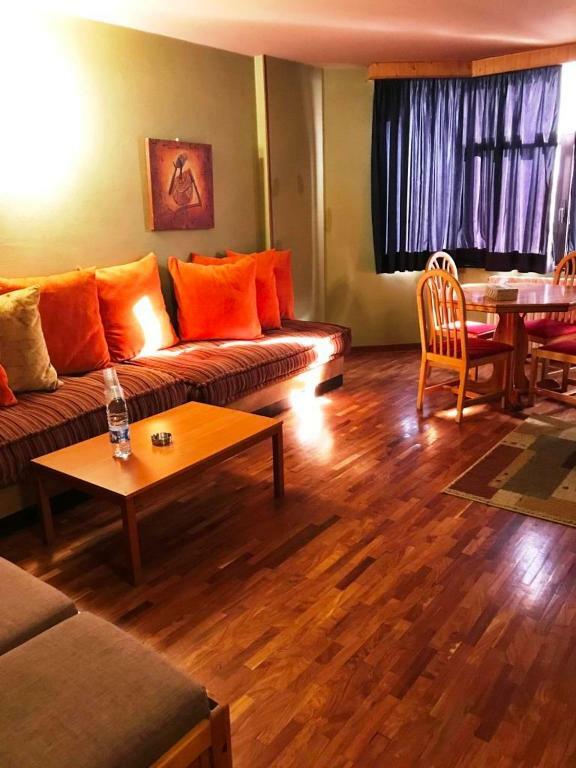 The chalets consist of Studios, 1-bedroom, 2-bedroom and 3-bedroom units. Fully renovated interiors with wooden floors convey warmth and conviviality and include a fully equipped kitchenette, a bathroom (or 2 for larger chalets) and a spacious living room with a fireplace. Bedrooms are facing the slopes and furnished with ultra-comfortable beds (movable for double or twin), with cupboard and drawer space. After a long exciting day on the snow, just lie in bed and gaze at the majestic snowy peaks of the Mzaar mountains under the moonlight. Dubbed the biggest and most luxurious ski resort of the Middle East, the Mzaar resort is nested in the Keserwan mountains at 1950 m above sea level, only 75 min drive from Beirut city and 5 minutes away from Faraya village. 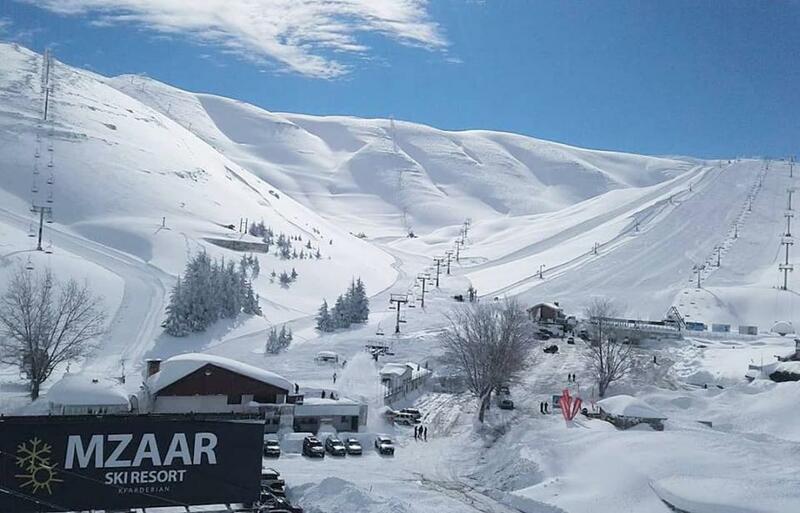 With 42 slopes and 80 kilometers of ski tracks, Mzaar, is the best equipped resort for ski and snowboard lovers with top notch facilities and recreational options all year long. As for our chalets, they enjoy a premium location in the resort and are set at the base of the Junction slope. With unmatched panoramic views of the mountains, the chalets provide the easiest access to the lifts, literally at your door step, granting our guests the privilege of being the first to experience the fresh powder. 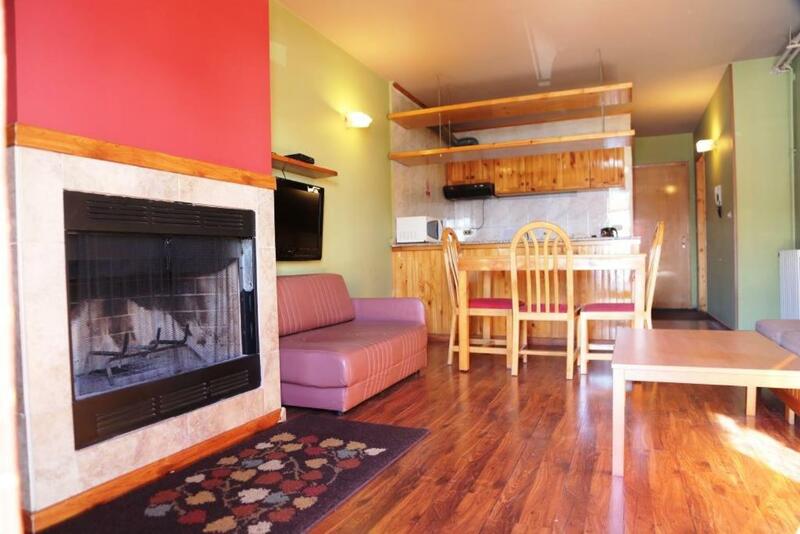 The resort offers numerous après-ski activities with restaurants, pubs, ski rentals and shops steps away. House Rules MzaarViews Chalets takes special requests – add in the next step! 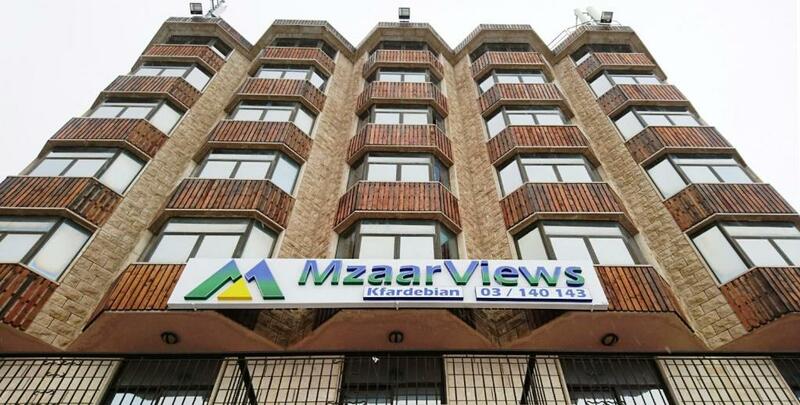 MzaarViews Chalets accepts these cards and reserves the right to temporarily hold an amount prior to arrival. Please note that the property also accepts payment via Western Union and in cash. Very basic, for the same price we could have gotten a famcier hotel. This is a self service place and that should have been communicated. The bathroom was timy, the shower felt like an after-thought. The disgusting smell of the bathroom drain that wasn’t attended to, even when i called the concierge, he didnt speak english and hung up on me twice. When i called him about wifi not working he also hung up on me. It was a little basic... for example, a bath floor mat and extra towel per person and a spare toilet roll (given that requesting these are at extra charge) would have been appreciated, and a kettle would have made it just that little bit more welcoming! Location was amazing (right opposite the slopes), staff were very accommodating (having visited some of the 5 star resorts in the area... we were very happy with the service we received in comparison!) and helpful, and the view was fabulous (full view of the slopes)!